Please click on the ICON above for the exclusive real estate listing, for open house days and times or to arrange for a personal viewing. The Grand Concourse is a major thoroughfare in the borough of the Bronx in New York City. It was designed by Louis Aloys Risse, an immigrant from Saint-Avold, Lorraine, France, who had previously worked for the New York Central Railroad and was later appointed chief topographical engineer for the New York City government. Risse first conceived of the road in 1890, as a means of connecting the borough of Manhattan to the northern Bronx. Construction began on the Grand Concourse in 1894 and it was opened to traffic in November 1909. 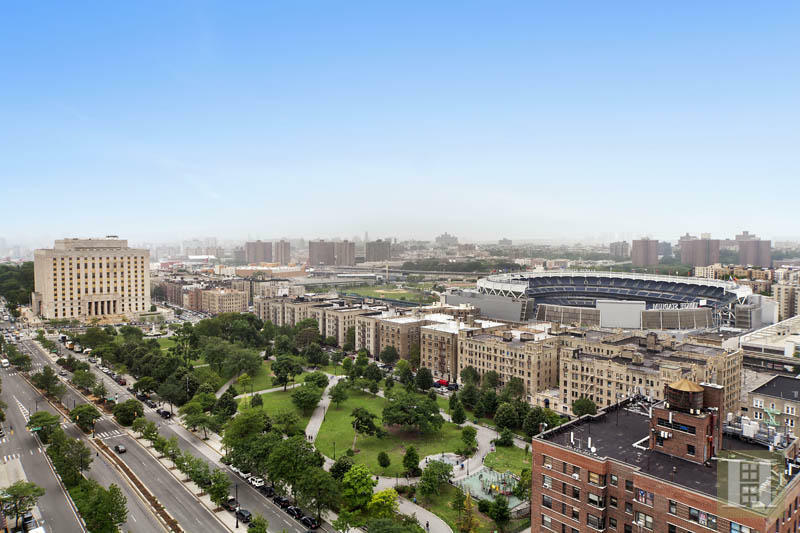 Looking south at Joyce Kilmer Park with Yankee Stadium and The County Court House which is just across the street from 860 Grand Concourse. The Grand Concourse's southern terminus is at 138th Street. The northern terminus is at Mosholu Parkway. Shortly after 138th Street, it merges with the entrance ramp to southbound Major Deegan Expressway (I-87), as well as the exit ramp from northbound I-87. The Grand Concourse continues as a divided eight-lane avenue, with two to three traffic lanes in each direction, until 161st Street. North of there, the service roads in each direction begin, and a unidirectional buffered bike lane runs on the left edge of either service road. The Grand Concourse is briefly a ten-lane boulevard with four roadways, two in each direction, until just south of 165th Street. There, the northbound and southbound inner roadways merge into a five-lane undivided roadway with two lanes in each direction and a left-turn lane and painted median in the center. The buffered bike lanes on each service road end at 171st Street, and conventional bike lanes start on the right lane of the respective service roads. This configuration with three roadways (two service roads and one main road) continues north until Mosholu Parkway, where the Grand Concourse ends. At Fordham Road, the main road passes underneath in a grade-separated junction, while the service roads intersect with Fordham Road. Between approximately 161st and 204th Streets, the New York City Subway's IND Concourse Line (B and ​D trains) runs under the Grand Concourse. The IRT Jerome Avenue Line (4 and ​5 trains) also runs underneath the boulevard for a short section south of 149th Street. The Bx1 local bus and the BxM4 express bus run the entire length of the Grand Concourse, while the Bx2 local bus runs on the Concourse north of 149th Street. Looking north toward 149th Street on the Grand Concourse. The Bronx County Court House is in the distance. We will leave this book, BOULEVARD OF DREAMS, behind for you! 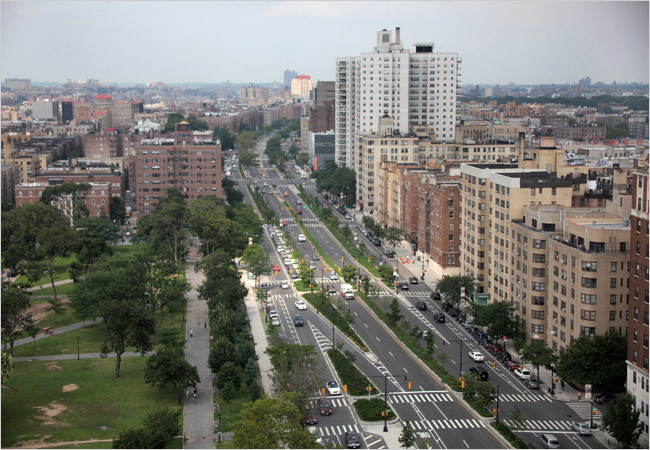 "Stretching over four miles through the center of the West Bronx, the Grand Boulevard and Concourse, known simply as the Grand Concourse, has gracefully served as silent witness to the changing face of the Bronx, and New York City, for a century. Now, a New York Times editor brings to life the street in all its raucous glory. "Designed by a French engineer in the late nineteenth century to echo the elegance and grandeur of the Champs Elysées in Paris, the Concourse was nearly twenty years in the making and celebrates its centennial in November 2009. Over that century it has truly been a boulevard of dreams for various upwardly mobile immigrant and ethnic groups, yet it has also seen the darker side of the American dream. Constance Rosenblum unearths the colorful history of this grand street and its interlinked neighborhoods. With a seasoned journalist’s eye for detail, she paints an evocative portrait of the Concourse through compelling life stories and historical vignettes. 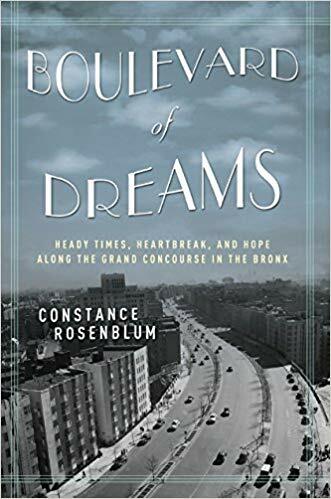 The story of the creation and transformation of the Grand Concourse is the story of New York—and America—writ large, and Rosenblum examines the Grand Concourse from its earliest days to the blighted 1960s and 1970s right up to the current period of renewal. Beautifully illustrated with a treasure trove of historical photographs, the vivid world of the Grand Concourse comes alive—from Yankee Stadium to the unparalleled collection of Art Deco apartments to the palatial Loew’s Paradise movie theater. "An enthralling story of the creation of an iconic street, an examination of the forces that transformed it, and a moving portrait of those who called it home, Boulevard of Dreams is a must read for anyone interested in the rich history of New York and the twentieth-century American city." 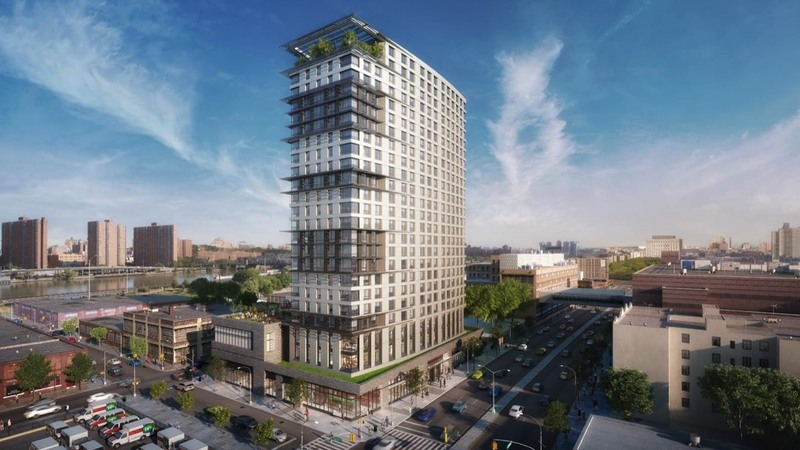 Want more information on The Grand Concourse, your new home? Click on the links below.